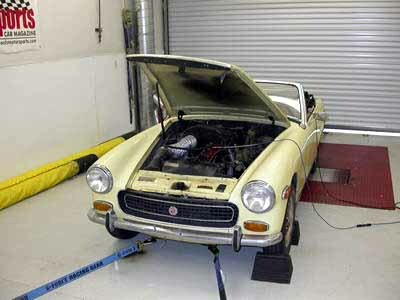 The Midget strapped to the dyno. The plan is still evolving, but we’re planning this as an updated Midget: The nimble and fun car developed in the last millenium combined with the technologies developed in this millenium. 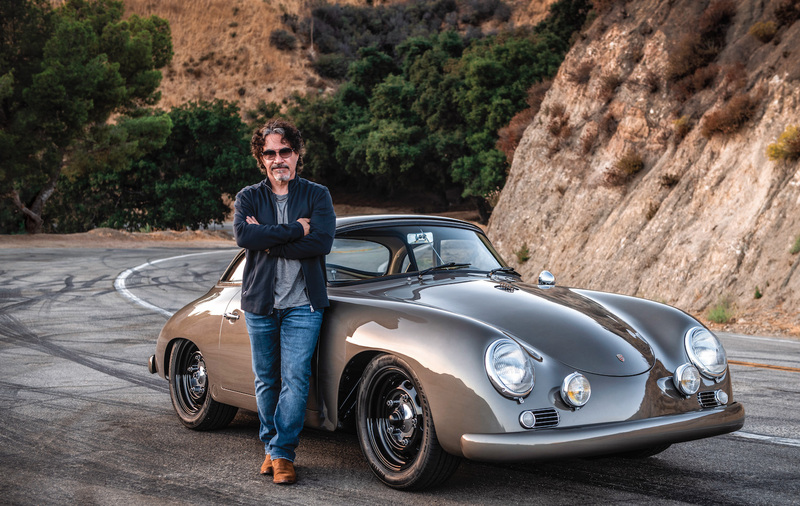 A significantly more powerful engine (likely fuel injected as Tim has suggested), five-speed gearbox, confident brakes, and creature comforts like nice seats, audio, maybe even cruise control. We’ll put a nice set of wheels on it and clean up the exterior a bit by removing some of the bumps like the ugly factory side marker lights. Color? We’re thinking British Racing Green. By the way, it won’t be going back to Florida on a trailer. This car is being built to drive.